Eight murals have appeared on the side buildings through out the neighborhood's Arts District over the past few weeks. 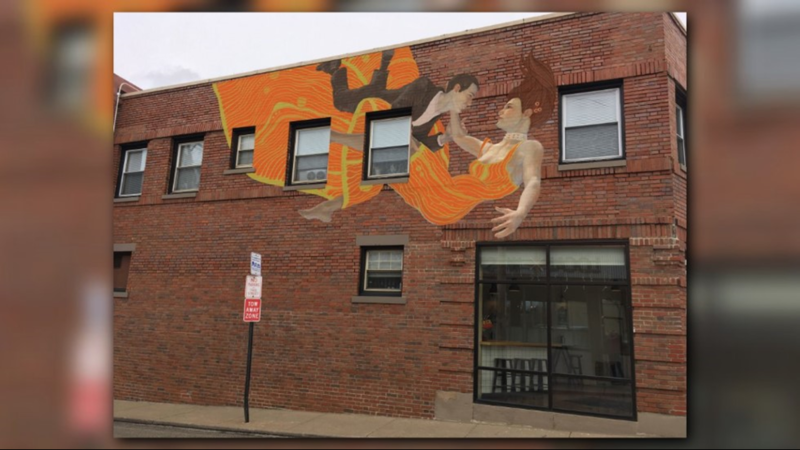 Things have been getting colorful in Cleveland's Gordon Square over the past few weeks: Eight murals have appeared on the sides of buildings throughout the neighborhood’s Arts District. "I used to live not to far from here, so it’s great to be a part of this," Cleveland artist Darius Steward said. "I guess I can call it a face lift." This is the first time Steward has used spray paint, instead of a brush. 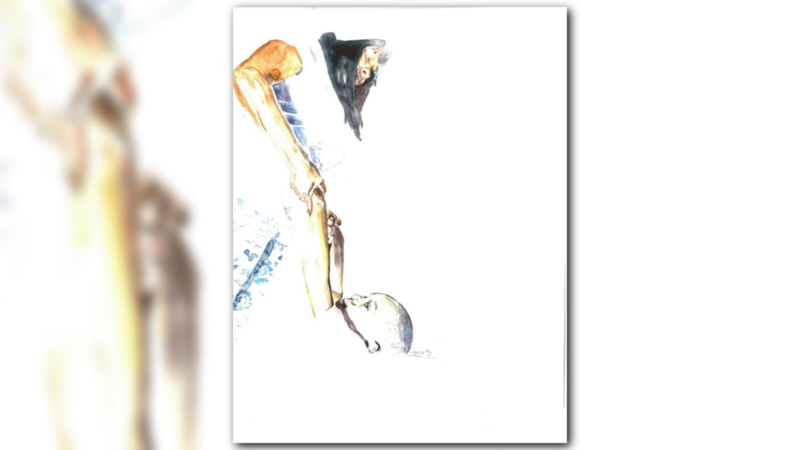 Steward wanted his mural to depict struggle, and being pulled back to reality. "I didn’t want to just come here and make a piece that looks nice" he said. "I still wanted to make a piece that had an impact." 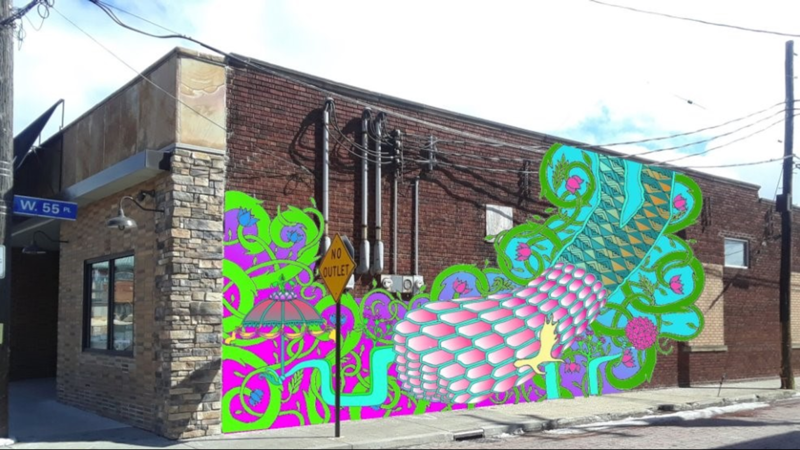 The artwork is helping to revitalize the neighborhood. 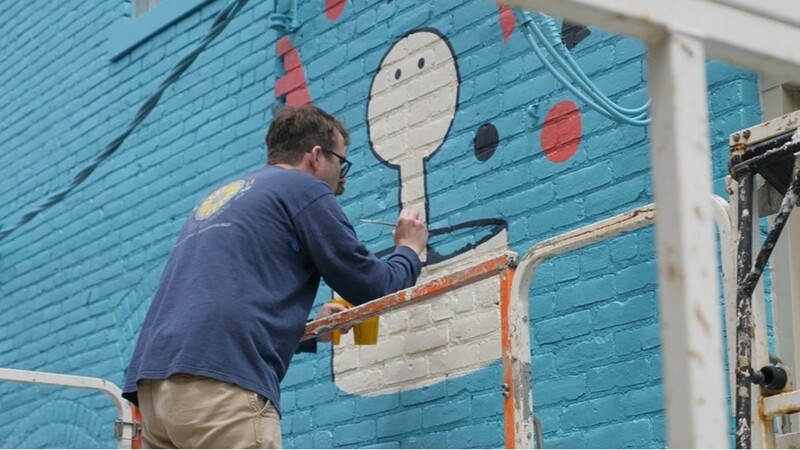 "Public art really rallies people around have pride in their neighborhood," Carrie Carpenter, President and CEO of the Gordon Arts District, said. "They are able to point to something and say, 'That’s my neighborhood. This is something I’m part of this is here for me to enjoy.'" Eileen Dorsery has her art studio in Gordon Square, and helped paint a mural called "More Heart than Art." "Even though I don’t live here, I have always thought I was part of the neighborhood so now everyone can see that," she said. "It’s such a different experience than painting on a canvas. 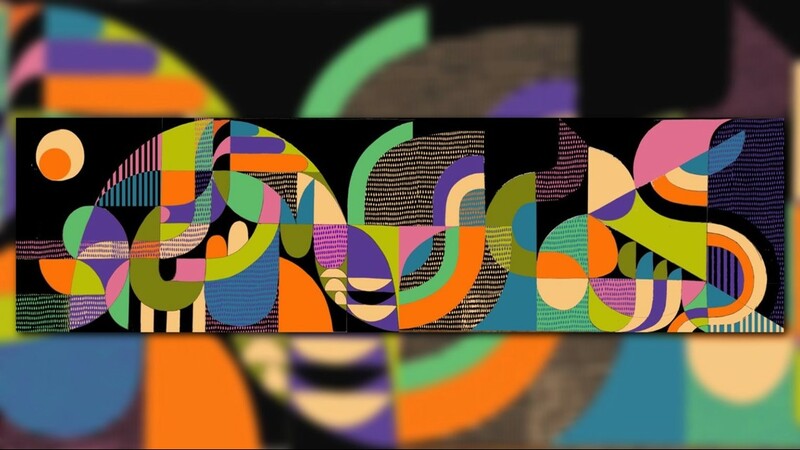 It’s just so much more movement, you are kind of like dancing while you are painting." 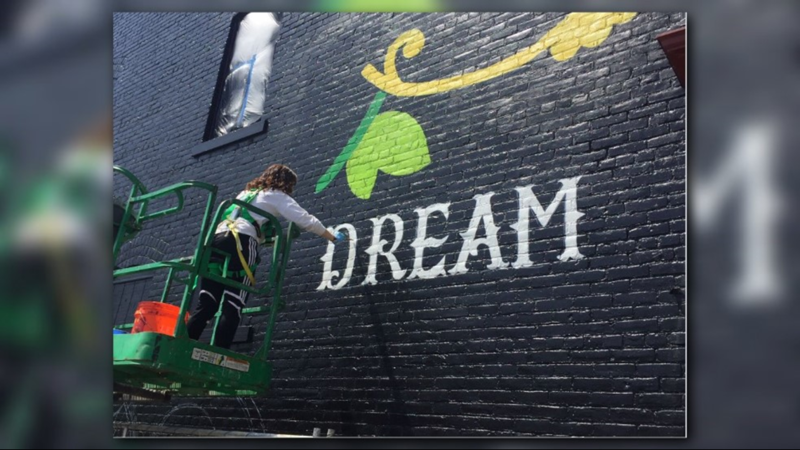 Baltimore artist duo Jessie and Katey are painting the largest mural, meant to welcome people to the Arts District. 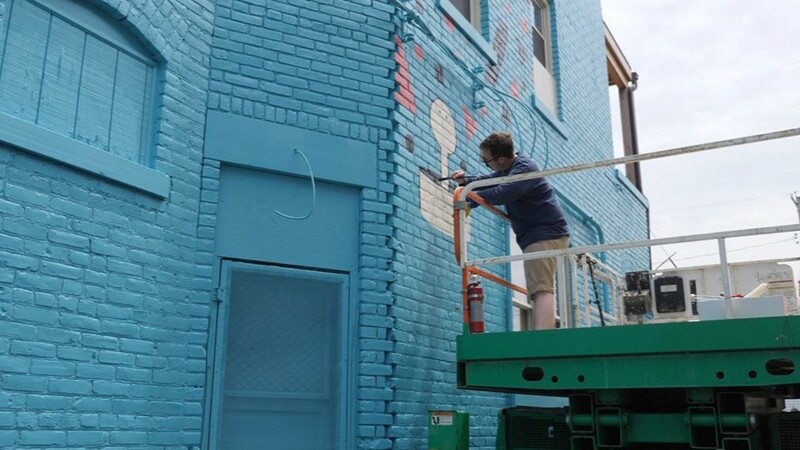 "We are not exactly telling a story with the mural," Katey Truhn said, "but it’s a big splash that everybody else can appreciate and take away way they want from it." "There is a lot of shapes, colors and fluid lines," Jessie Unterhalter said. "We really strive for balance and craziness all at the same time in our work." All the murals should be done by the end of May, with artists happy to leave their mark on this neighborhood. 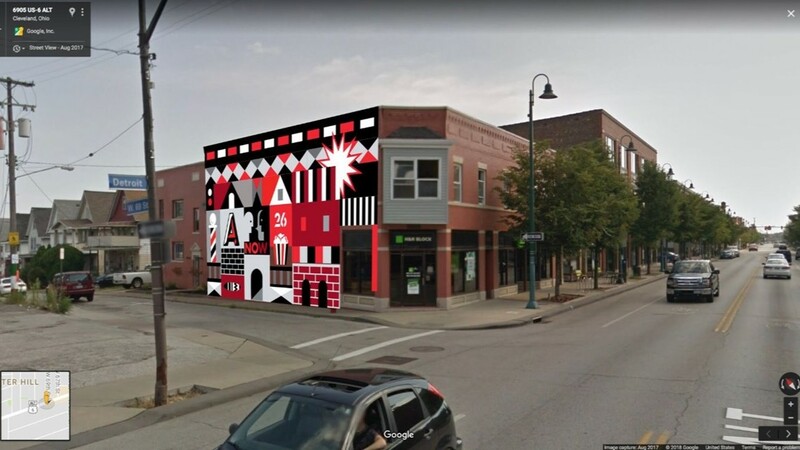 The Gordon Square Arts District partnered with LAND Studio and Detroit Shoreway Community Development Organization to coordinate the mural installation. Funding from the Cleveland Foundation, the City of Cleveland Casino Revenue Fund, Cleveland Councilman Matt Zone, Hilton, the David and Inez Myers Foundation, American Greetings, and Sherwin-Williams also supported the project.